In her paintings, Cyndie Belhumeur merges geometric and organic shapes with brightly colored overlay effects. She applies this creative approach to both illustration and graphic design. 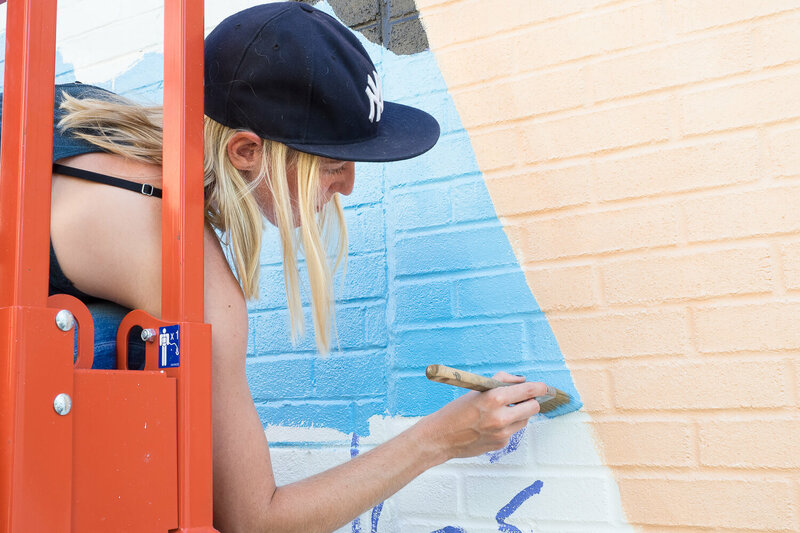 She created her first large-scale mural with MU in 2015 after having learned the rudiments of the art as assistant-muralist in 2014.